This is probably one of the best videos I have seen produced about head stem bearing replacement. Some of the tools are a bit $$$$, but a good solid length of threaded rod works really well when installing races to frame, just remember to keep it all SQUARE! January 20, 2015 in General Stuff, Technical. 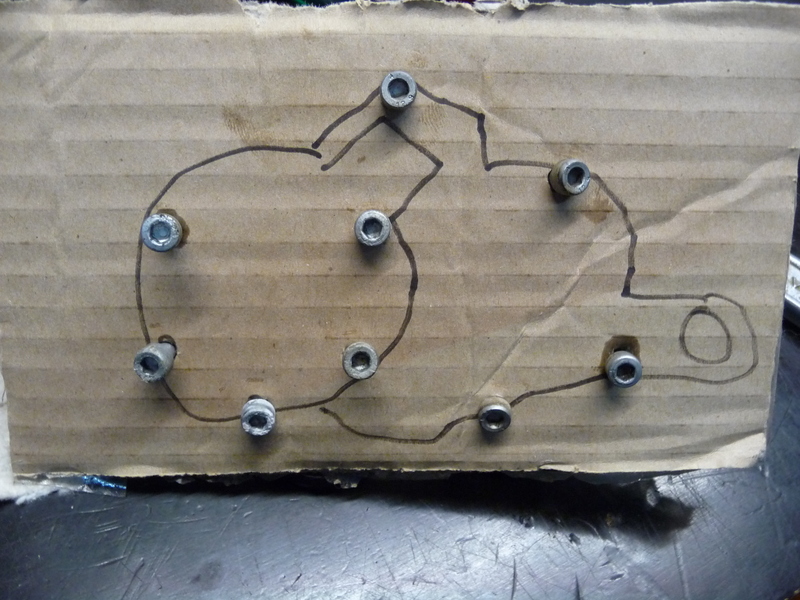 Uses for odd bits of cardboard in the workshop – Issue 34! Just a handy tip, when pulling a motor down (especially ones with a lot of different length bolts), grab a scrap of cardboard and do a quick sketch of the engine case (or what ever part you are working on), then stab the bolts through in the appropriate places. It keeps the bolts from going walkies, and It makes re-assembly a whole lot less frustrating. June 16, 2012 in Technical. Carbon or organic fibre is the big question this afternoon! June 9, 2012 in Technical.